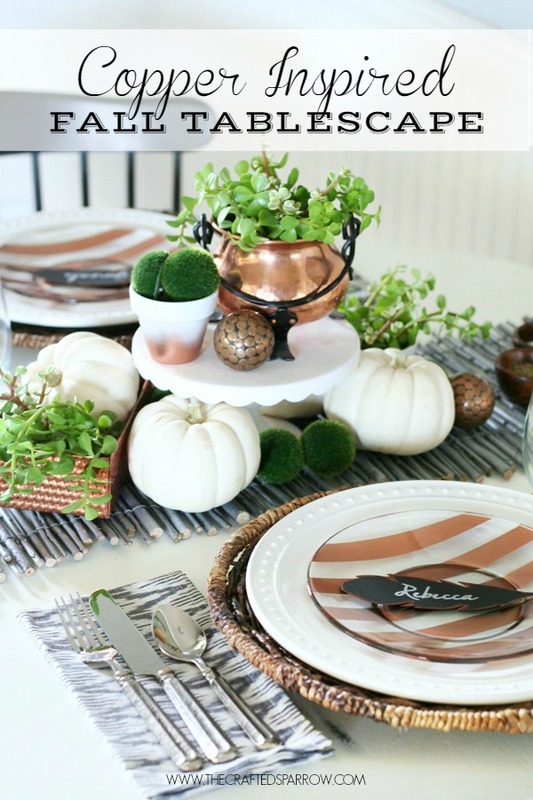 I told you guys I wouldn’t forget about Fall, today I’m teaming up with some amazing bloggers to bring you some really great Fall inspired place settings & tablescapes that are sure to inspire your Fall dining. 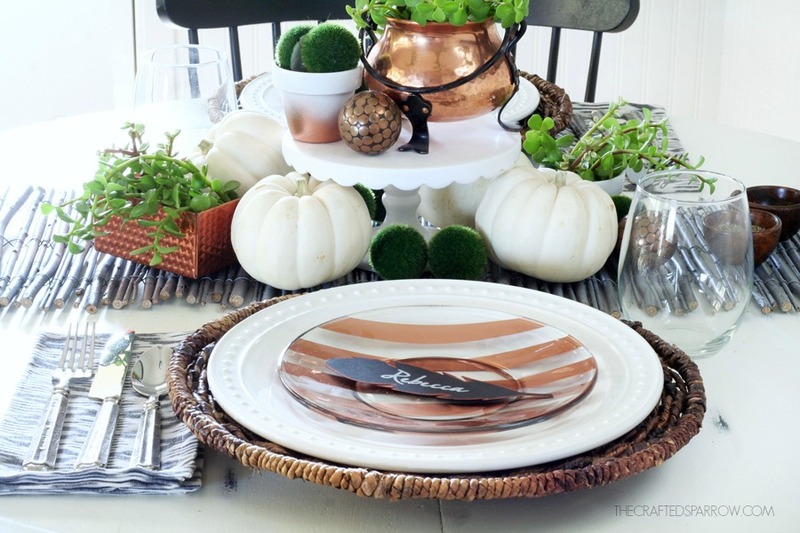 I’m excited to be sharing my Copper Inspired Fall Tablescape. We don’t typically do a formal dinner for Thanksgiving since my mom hosts and we are a super casual family. 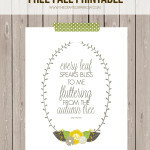 I thought it would be fun this year to create something just for me and the hubby to celebrate Thanksgiving. We don’t get to go on dates often and we haven’t had an intimate dinner just the two of us at home since we had children. So spending an evening together counting our blessings together will be just what we need as this year starts winding to an end. 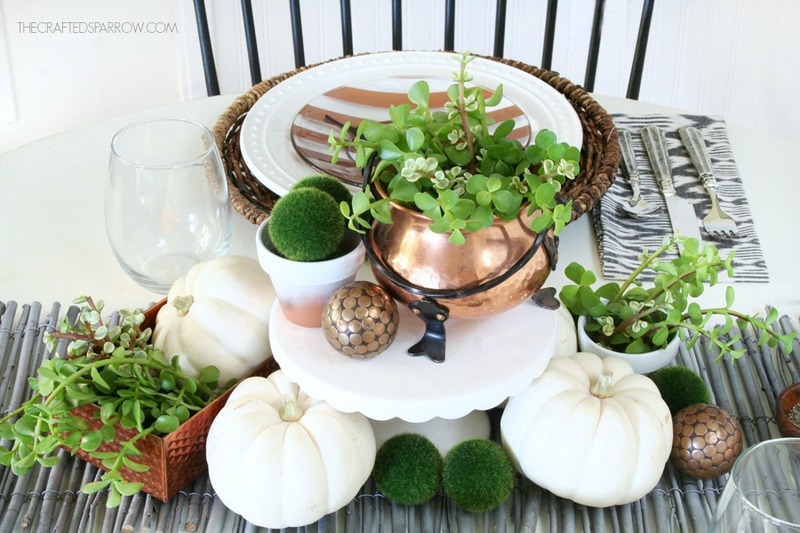 This budget friendly tablescape was so easy to put together. First thing I did was to shop what I already had on hand for inspiration. I ended up using some copper pieces I’ve collected as part of my centerpiece. Since it’s just me and the hubby for this dinner date I only needed two place settings. I headed to one of my favorite stores World Market and picked up a couple of the white Nantucket Collection Dinner Plates, the Round Madras Chargers, and I already had the Danieli Flatware on hand. I picked up a couple of clear glass salad plates from Walmart for $1 each. 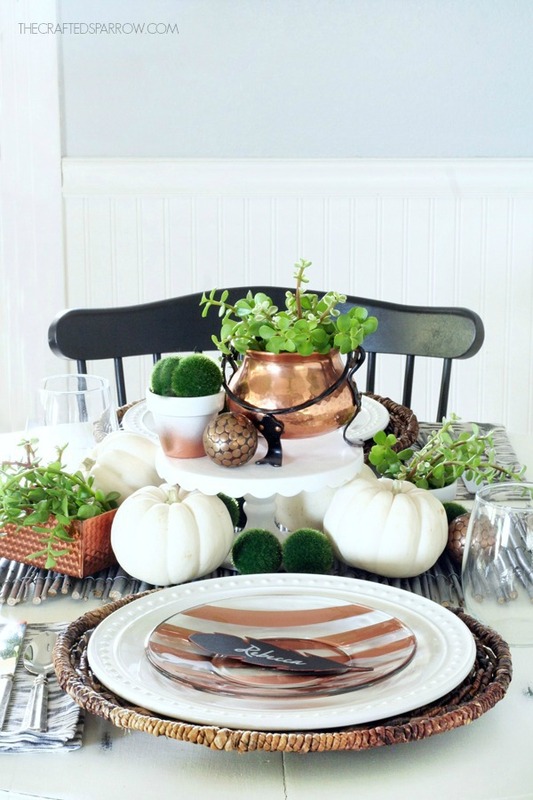 I knew that I wanted to add some more copper to the tablescape so I thought it would be so fun to paint the salad plates. To paint them I grabbed some Krylon Copper Spray Paint, and masking tape. I taped off simple stripes on the plates with the masking tape, then gave it a few even light coats of the copper spray paint. Once dried I peeled the tape off. These plates were the perfect addition to the place settings. Note: These plates will need to be hand-washed after each use, but are perfect for a special event and super budget friendly if you want a custom look. 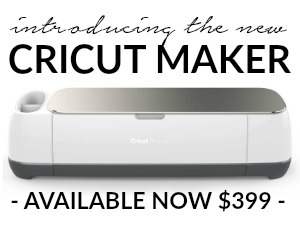 I also used my Cricut Explore Cutting Machine to cut out some paper feathers and write our names with a chalk marker. I then just brushed the edges of the feather with copper acrylic paint I had. I knew I didn’t want the centerpiece to be too big since we would want to see each other. It definitely needed some varying heights though, so my ceramic cake stand was perfect in the center. 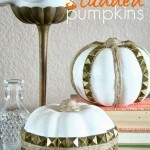 I added some mini white pumpkins, we buy one for each member of our family every year as tradition. The green mossy decorative balls are something I’ve had for years, same for the small studded copper ones. I also took some mini terracotta pots I had sitting around and gave them a quick coat of white spray paint, then gave them a copper ombré look by lightly layering the bottom with the copper spray paint. 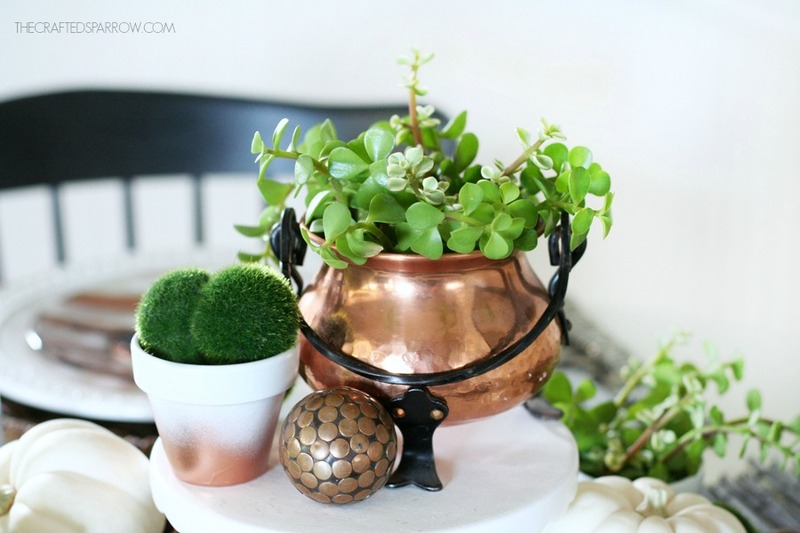 I filled this mini copper cauldron, mini terracotta pots, and a small copper tray I had with some succulent branches I cut from my elephant bush plants. It was the perfect touch of green I needed at no cost to me. 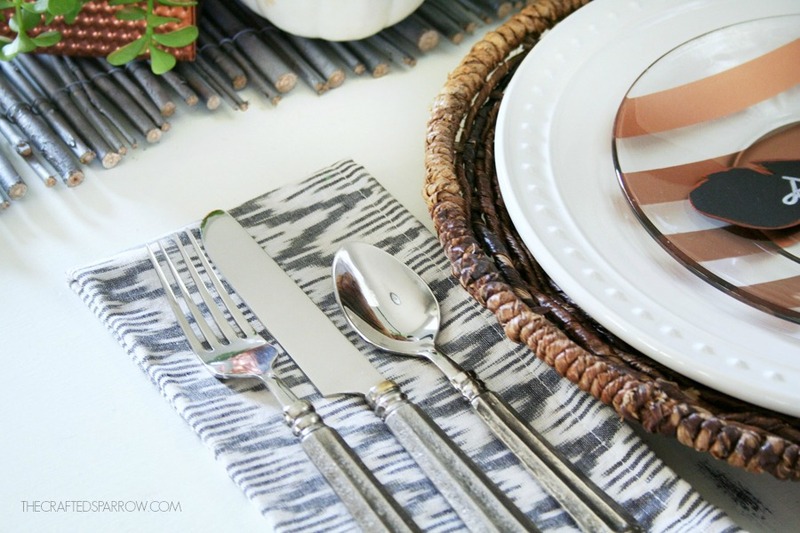 The napkins are also from World Market, I loved the subtle faded black pattern. It mixed perfectly with my striped plates. The table runner was actually part of a giant roll of wired wood sticks I’ve had for probably about 14 years since I was a manager at Joann Craft Stores. It originally came in a giant 5′ x 8′ roll and I used it as our headboard for several years. Up until recently it’s just been sitting in our garage. The hubby recently took most of it for his garden and this remnant was all that was left. It made the perfect table runner. I ended up spray painting it gray to coordinate with the tablescape. I love how this all turned out. Simple, clean, and casual. What do you think? 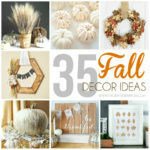 I bet if you looked around the house you have the perfect items to make your tablescape perfect for Fall without having to spend much money at all. If you’re going to splurge on something I’d say do that on the dinnerware and linens. 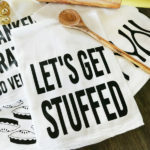 It’s always fun to have a few types of cloth napkins to switch things up, for dinnerware I love classic white. Food always look so rich on it. Now it’s time for you to see the rest of the amazing ideas from my friends. 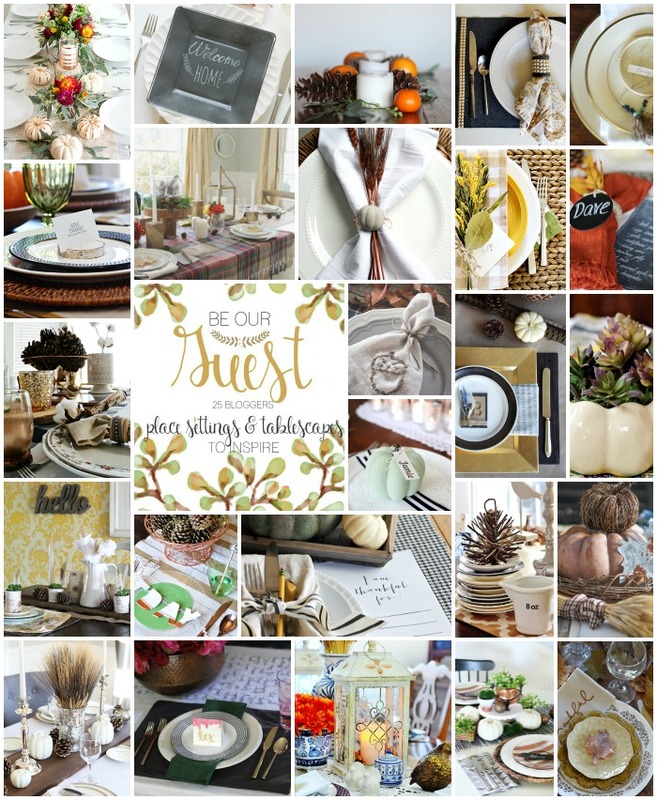 I hope you will visit each one of their Be Our Guest Place Settings & Tablescapes to Inspire. I totally love this Rebecca! 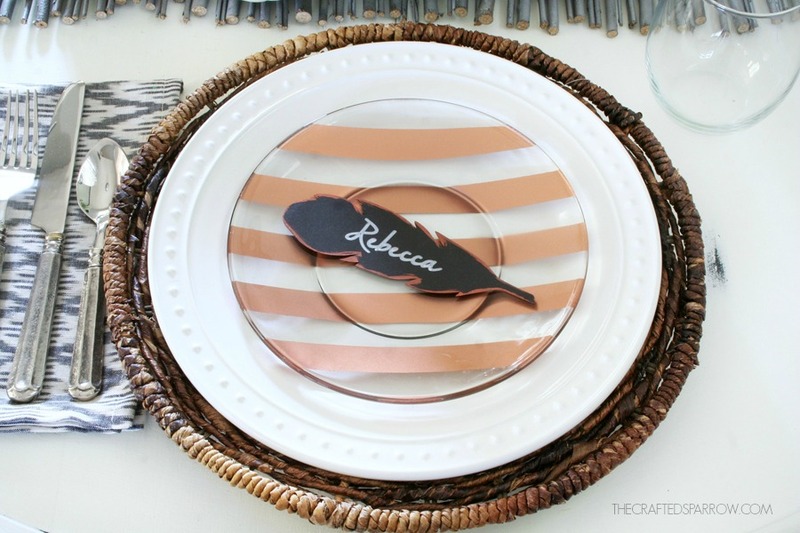 And your feather place settings are so cute! Thank you so much Jenn! Have a super day! 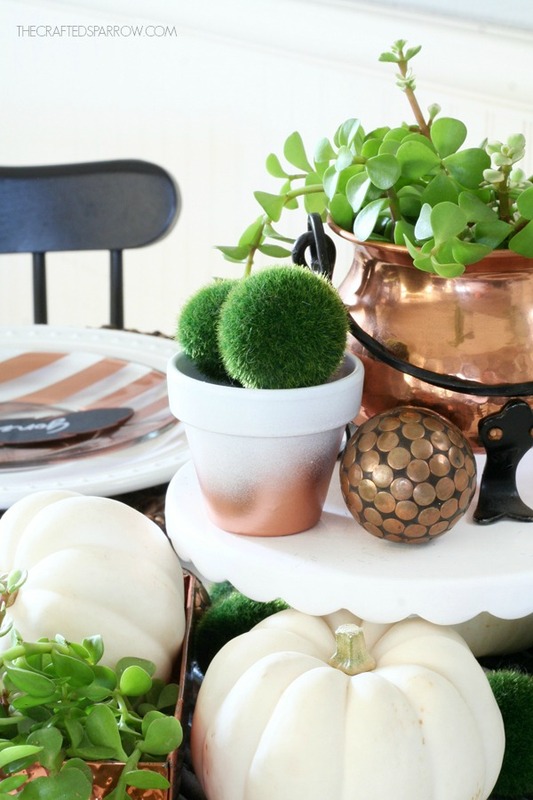 I’m obsessed with copper everything! Yes! Copper is so awesome and it’s a nice change up from all the gold. I always say yes to copper! 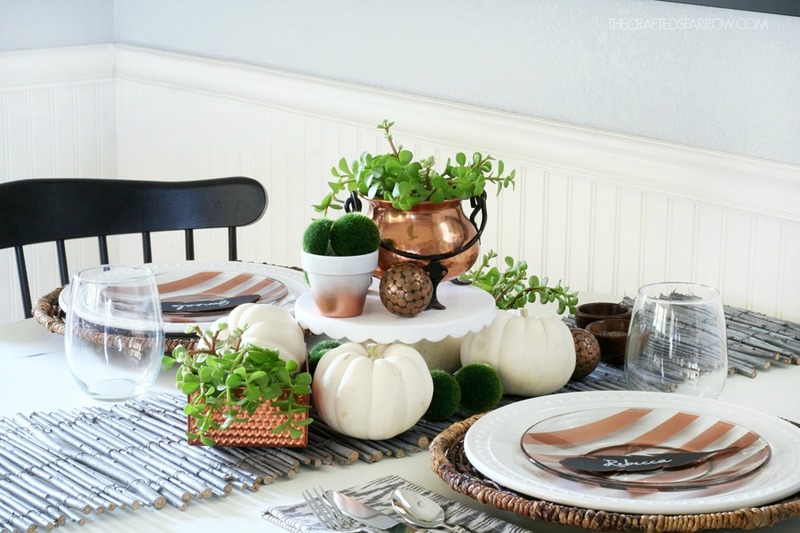 You’ve created such a fresh look for a Thanksgiving table! Thanks so Karianne! xoxox Have a super day. Looks amazing, Becca, and as usual…gorgeous photography. 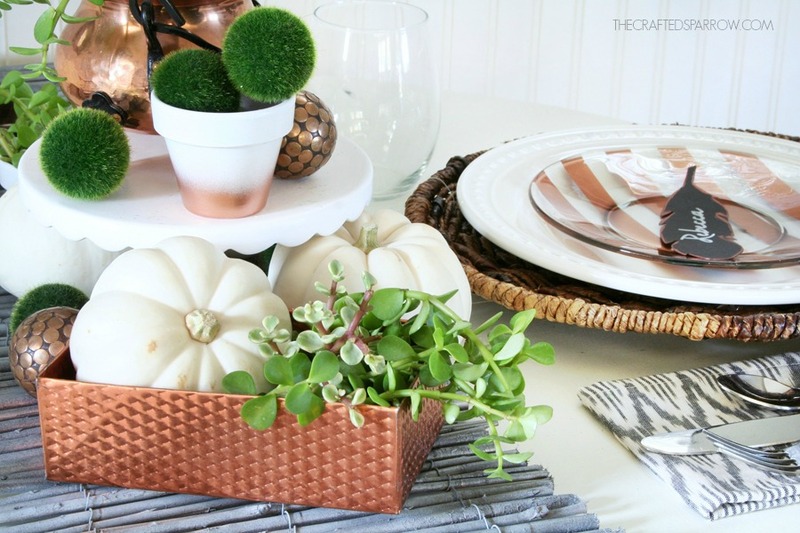 Love the copper plate tutorial! Love all the copper details! 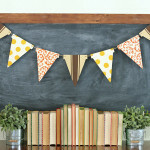 LOVE the striped copper plates, such a great idea. I actually painted my plates, too, but did them solid color. I might have to do a few more for the big turkey day in stripes! Pinning. Thanks Amy! The stripes are super fun right?! Absolutely stunning! Love the copper color scheme too. HUGS! 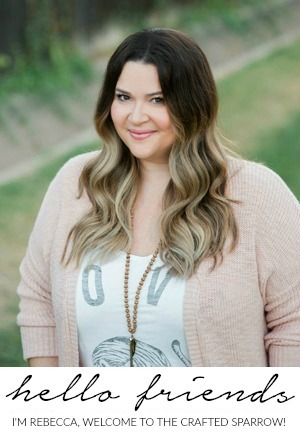 Thank you Kelly! xoxoxo Thanks for inviting me to participate! Original and creative use of things you already have. Very nice! Copper is so warm and friendly in its effect. So simple and beautiful! 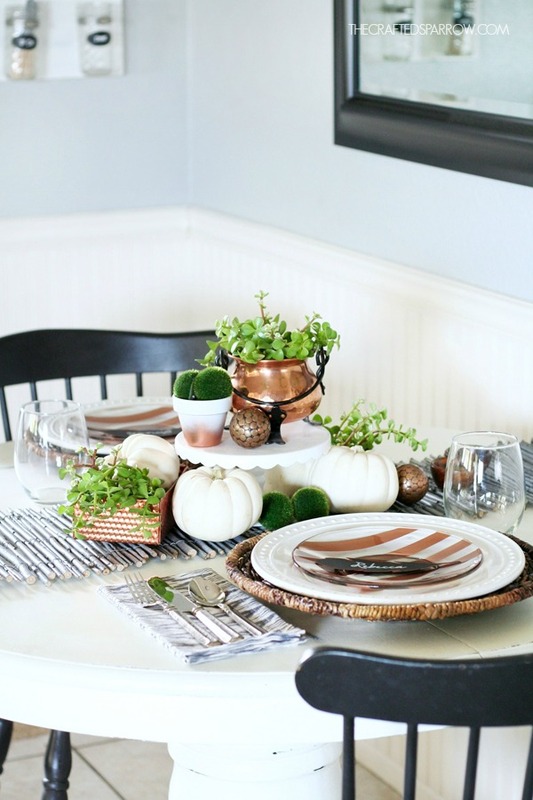 Just love the copper and neutrals! This is perfection! I absolutely love the bright green paired with the copper. 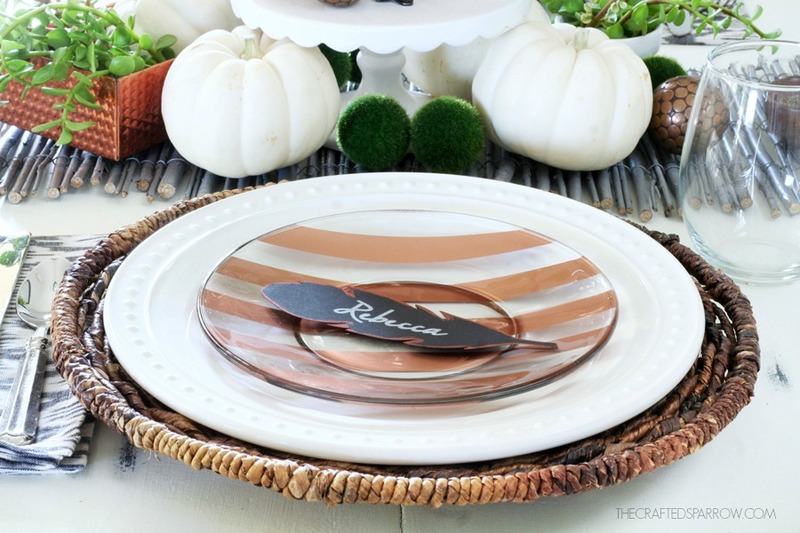 The stripes on the plate were such a great idea and the feather place cards are so cute! Have a fun date night with your hubby! I love the copper theme! 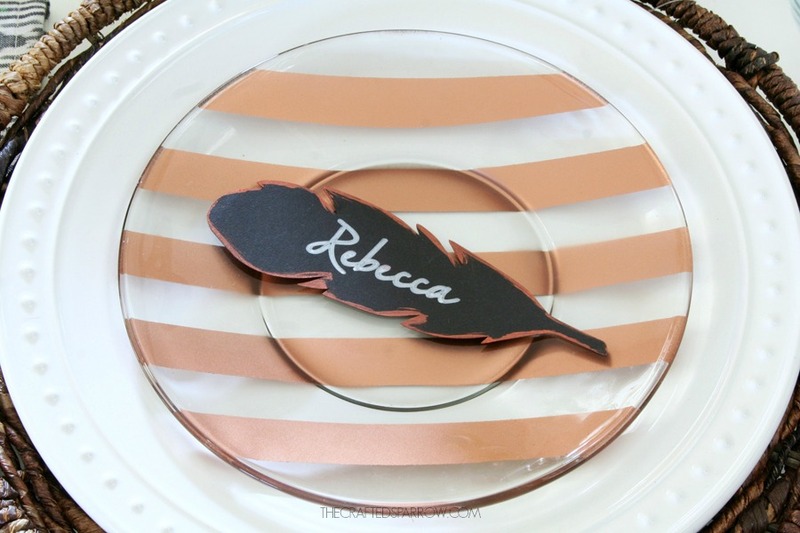 The feather place cards are too cute! Such a beautiful use of copper! 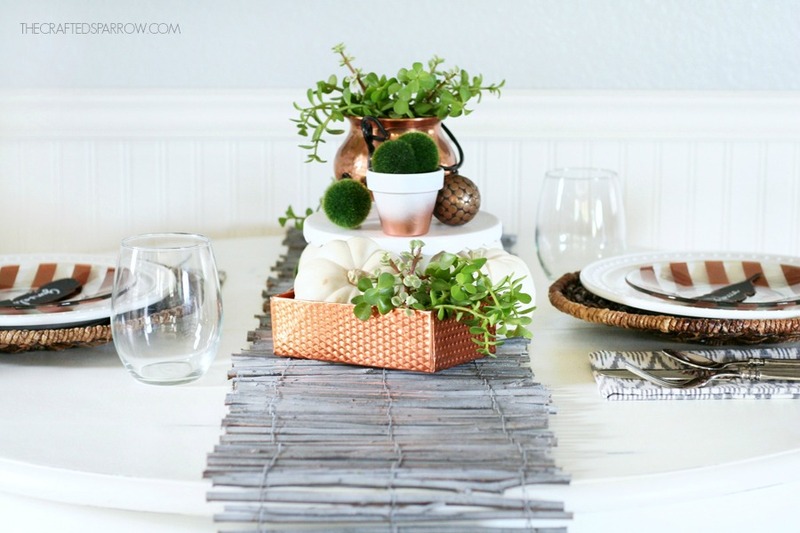 I love copper but was never sure how exactly to incorporate it into my home – thanks so much for the inspiration! Pinning and sharing on FB! Thanks Amy! Hope you have an awesome week. 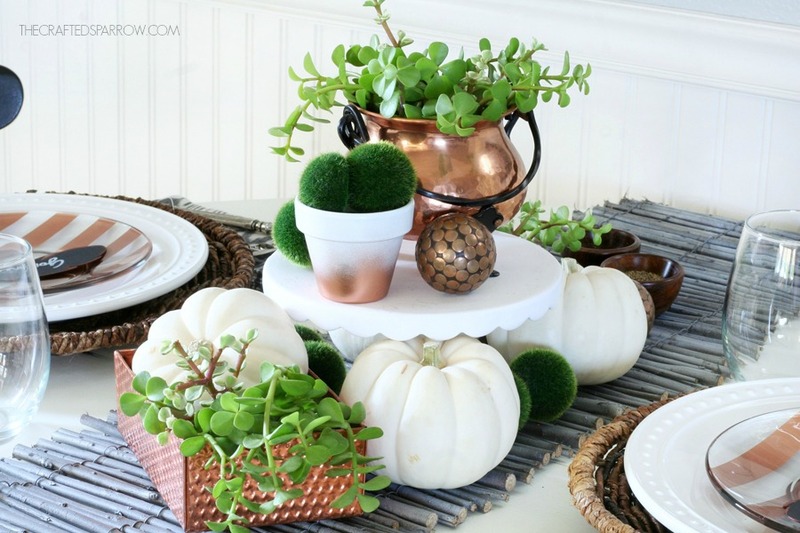 Love all the copper touches. Beautiful table! Thank you Jamie, that means a lot! Have a great week! Thank you MaryJo. Have a super week. What a lovely table for an intimate dinner with your husband! I love that you “shopped* your home for many of the elements you used. In this day and time that is a very good idea. Thanks for the inspiration! Thanks Cheryl. Shopping what I already have is one of my favorite things to do. Have a great week.